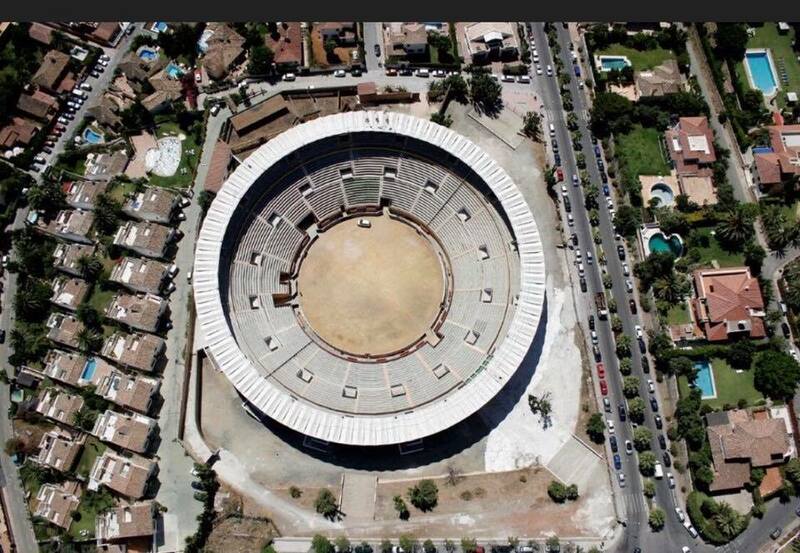 The disused iconic building in question is the Nueva Andalucia bullring. One of the oldest buildings in the area it has been unused for many years following the fall in popularity of bull fighting in Spain. Whilst bull fighting is not illegal in Spain, fashion and (improving) public tastes mean that it is becoming less and less financially available and therefore less popular. The last bull fight in Nueva Andalucia took place 20 years ago and the future of the building has been in question ever since. When you see aerial photos of Puerto Banus prior to construction of the marina it is surprising to see that Bullring is there standing alone with open countryside around it. Build in 1965 it was last used to host the Davis Cup in 2009 and has since been decaying with no clear future. 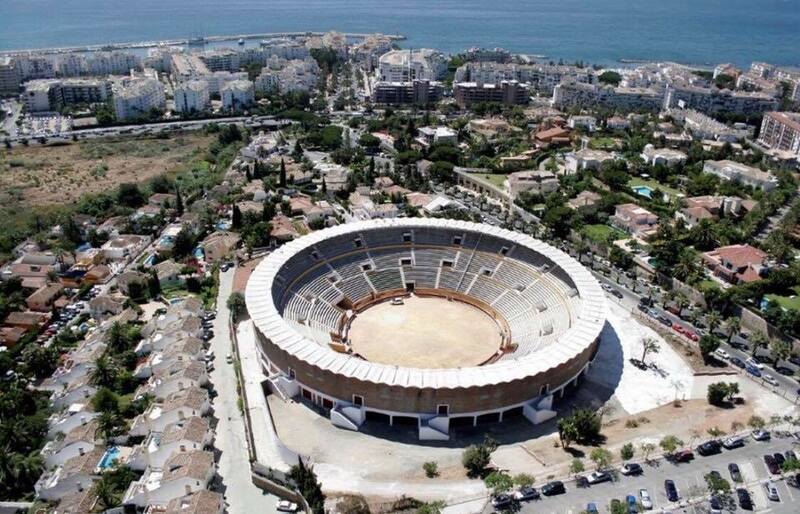 Now that it has been taken over by the Grupo Teatro Goya the future of the Bullring under its new title Marbella Arena seems assured. 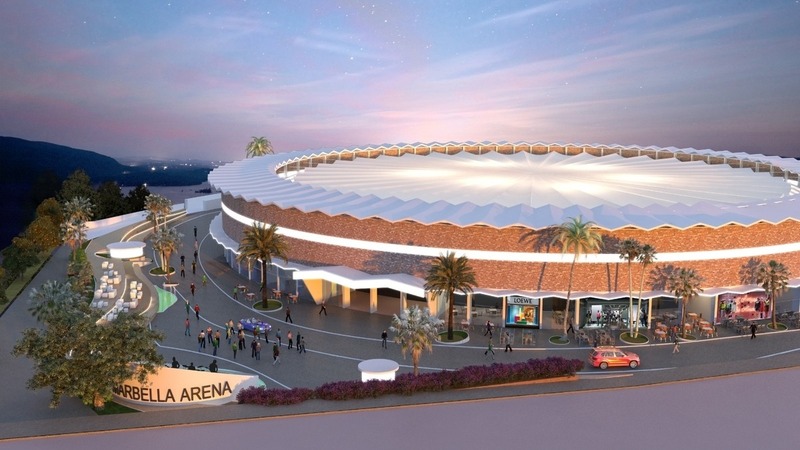 Due to open in 2019 with the first concerts in May the Marbella Arena will accommodate 5000 people, 1,000 in the main bullring and 4,000 in the original seating areas. A cover will be installed for use in all weather. The project a commercial development with shops and restaurants which are already been built. Here is another exciting resource to add to Marbella’s arsenal and is sure to bring pleasure to many; as well as encouraging even more visitors to come and sample the wonders of Marbella. If you are interested in property in and around the new Marbella Arena then click the Request Information button below and we will be pleased to help you.